Dr. Gregg, Program Director for the Institute for Advanced Laser Dentistry (IALD), has been honored in the 2018 selection of Dentistry Today's Leaders In Continuing Dental Education. CERRITOS, Calif., Dec. 3, 2018 Continuing a legacy of educating and teaching, Robert H. Gregg II, DDS, is recognized by Dentistry Today in its 2018 selection of Leaders In Continuing Dental Education for the ninth consecutive year. Dr. Gregg has been a member of Dentistry Today's Continuing Education (CE) Editorial Board since October 2008 and serves as a peer reviewer for CE articles. He is the Program Director for the Institute for Advanced Laser Dentistry (IALD), a non-profit educational and research entity dedicated to providing outcome-based clinical training, and one of the few laser-based ADA-CERP and AGD-PACE recognized providers. "It is always an honor to receive recognition from Dentistry Today," says Dr. Gregg. "The dental industry continues to change, and it's important for the information reaching my fellow clinicians to be accurate, particularly for treatment modalities we weren't taught in dental school. Correct information is vital for so many reasons – from educating clinicians on the latest scientific research, or how changing standards of care impact informed consent, to providing the best possible treatment methods for patients." Dr. Gregg is the inventor of the LANAP® protocol for the treatment of all stages of periodontitis – including "hopeless" teeth. The LANAP Protocol is the first and only scientifically proven laser treatment FDA cleared for True Periodontal Regeneration, supported with two human histological studies. Patients experience little to no post-operative discomfort because the procedure does not require the use of scalpels or the placement of sutures, allowing for a faster, easier recovery. All LANAP-trained clinicians receive their training from the IALD, either at the main training center in Cerritos, CA or through Certified IALD instructors at authorized university and Armed Forces facilities. The IALD's training continuum is a year-long, live-patient, hands-on program that ensures the clinician performs the LANAP technique safely and effectively. 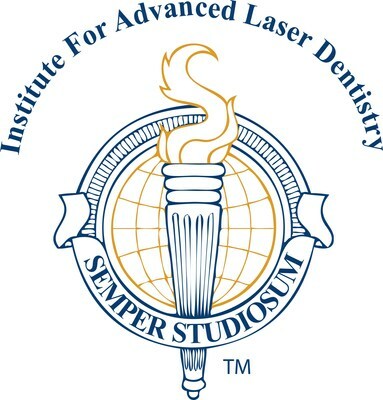 ABOUT THE INSTITUTE FOR ADVANCED LASER DENTISTRY: The IALD is ADA-CERP and AGD-PACE recognized provider, and is nationally recognized for its continuing education programs. The IALD's ultimate goal is for the percentage of patients seeking treatment for periodontitis to reach the percentage of patients seeking general dental care.